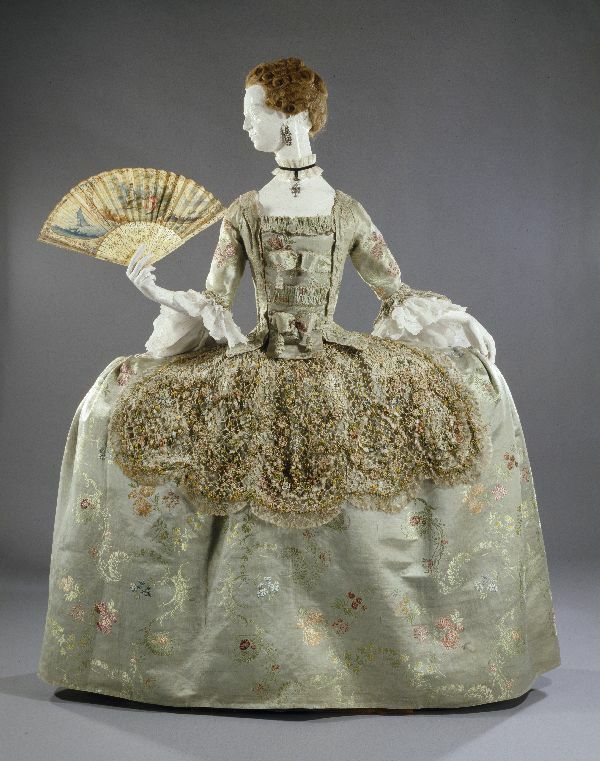 Popular for what we now consider an exaggerated silhouette, the ‘mantua’ – a style of gown in fashion in the late seventeenth century and early eighteenth century – bears a story as wide as its volumes. Introduced in Europe in the 1670s, the mantua was in origin a loose coat for women, with a kimono-like cut. It was inspired by the clothes and robes recently imported from India, that were worn by Western men as dressing gowns. 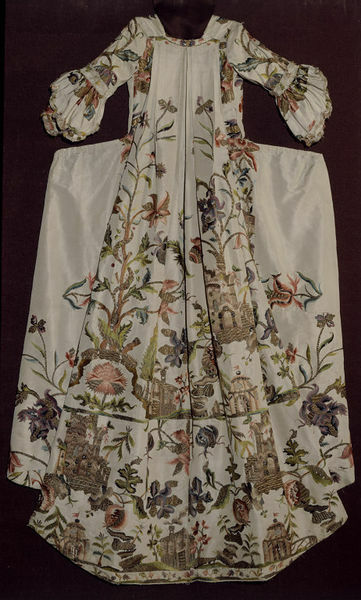 Court dress consisting of an embroidered silk mantua robe and petticoat, probably made in England, 1740-1745. Courtesy Victoria and Albert Museum, all rights reserved. The name ‘mantua’ might refer to the Italian city of Mantova, once an important centre for the production of exquisite fabrics; or, it might be an evolution of the French term ‘manteu’, which referred to nightgowns and dressing gowns. The latter explanation makes sense, given the fact that it was worn as a kind of ‘undress’, as its earliest one-piece structure was free of the stiff boned bodice of the ‘grand habit’ that was in use in the court. 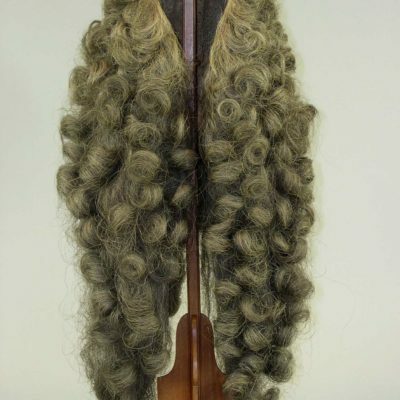 Though simple in its construction, the preciousness of mantuas reflected that of the fabric of which they were made, which was usually a kind of silk damasks now known as ‘bizarre silk’, fashionable in the late seventeenth and early eighteenth century. 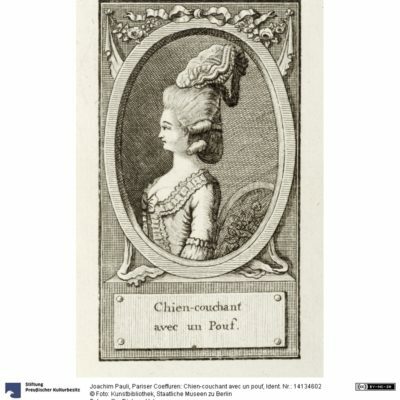 The ‘mantua-making’ was a women’s trade, as millinery was, and was officially recognized in France as the first guild controlled by women. 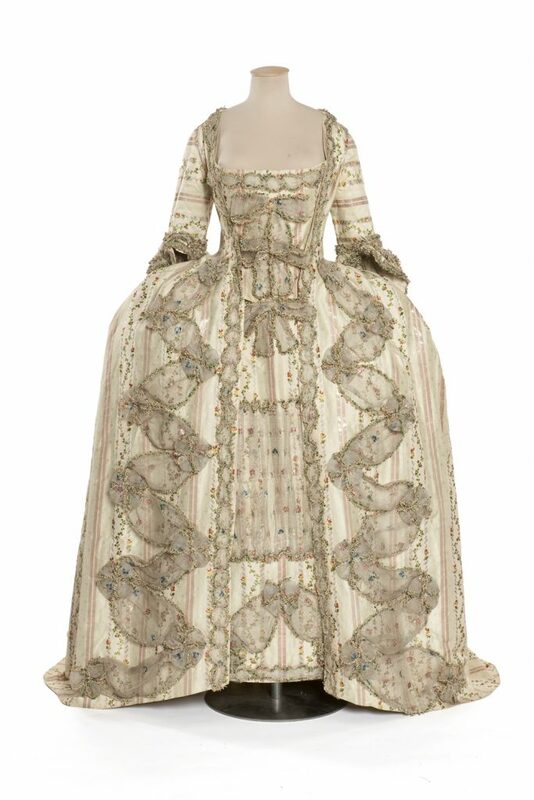 Robe à la française, 1775 ca. Courtesy Les Arts Décoratifs, all rights reserved. Cream silk sack-back and petticoat made from a mantua from the late 1730s. Courtesy Victoria and Albert Museum, all rights reserved. 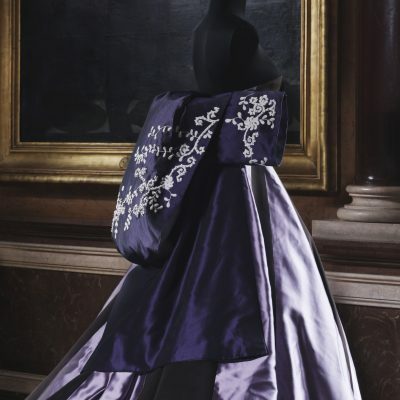 Initially considered too informal to be worn outside private spaces by Louis XIV, by the end of the 17th century the mantua became the formal dress worn in the courts of Europe and continued to be worn in England until 1820, when George IV suggested it should be abandoned. In the early eighteenth century elliptical side hoops came to fashion, the shapes of the mantua changed to accommodate them. Following the crazes of the court, its width even reached, in the most extreme cases, two meters. 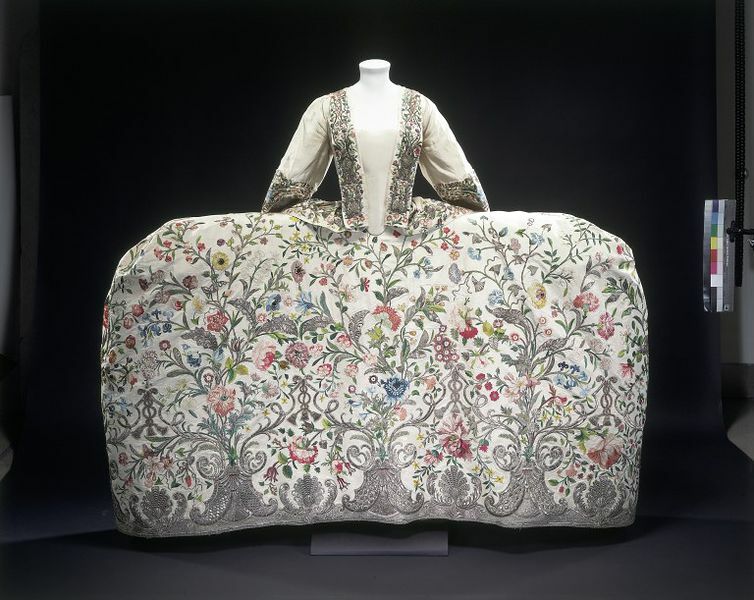 After Mantuas came out of fashion, the fabrics they were made of was usually re-modelled into other different designs, like sack-backs or robe à la française, which characterized the clothing style of the eighteenth century.